Wound healing can be delayed when the practical requirements are not satisfied. 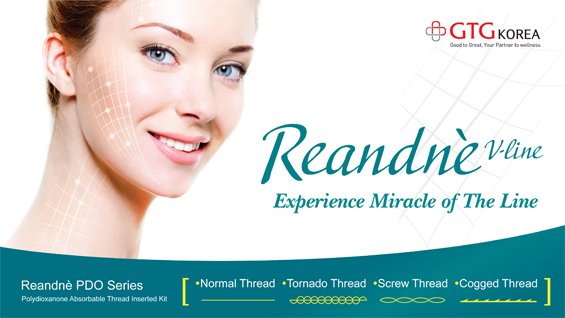 The requirements may be anatomical location, depth, shape, size, healing phase, tissue type and status of the scar; condition of the surrounding skin; and a number of physical variables, such as bacterial infection and exudate amount. The material for wound dressing should also be selected, therefore, considering the absorptive capacity, conformability, adhesive level, hydrating ability, the ability to facilitate debridement and the ability to control odor. Recently developed semi-occlusive wound dressings are in polymeric foams (hydro cellular dressing), hydrocolloids, sheet hydrogels, amorphous hydrogels, alginates or collagen, depending on the ingredient. 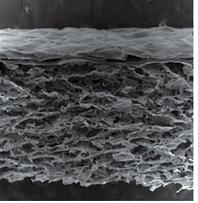 A developed material can even adapt its absorptive capacity according to particular situation of the wound. Despite the development of such various materials, the fundamental purpose of dressing is to keep continuously moist environment to promote wound healing. We have to know the role of dressing materials depending on the placement on the wound, primary dressing, which contacts directly to the wound, and secondary dressing, the purpose of which is to retain the primary dressing. Some products are developed recently to facilitate rapid and easy dressing by combining the primary and secondary dressings. Products with enhanced elasticity and adhesive level have been also released among secondary dressings (Figure 1). Transparent polymer films are thin and highly elastic, and one side is produced to be adhered to the skin. The area that is to be contacted with wound is not adhesive so as to prevent the dressing from adhering to the wound. Liquid and bacteria cannot traverse the film, while moist vapor and atmospheric gases can. 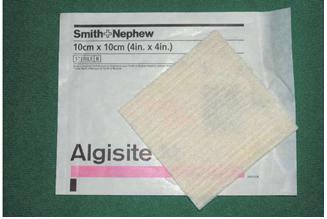 The film is not absorptive but superior in terms of adhesiveness and elasticity, and the transparent sheet enables maintaining and observing moist condition of the wound, making it a suitable option for mild burn, skin graft donor site and for simple protection of almost healing state of burn wound area. Omiderm, OpSite (Smith & Nephew) and Tegaderm (3M) belong to this type (Figure 2). Foam dressing uses sponge-like air bubble, produced by melting multiple sheets of polymer, to enhance the absorptive capacity of exudates. Multiple ingredients can be added to make various products. The waterproof coating on the surface prevents moist evaporation or can be adhered to the wound by applying adhesive around the adhesive face. Some products are designed to place a foam sponge or a finely perforated bag filled with foam pieces on a cavity wound for compressive wound dressing. Allevyn (Smith & Nephew), Medifoam (Ildong) and Biatain (Coloplast) are included in this category. Highly absorptive air entrainment absorbs exudates by capillary action and retains moist environment, preventing wound dryness. Therefore, it does not adhere to the lesion and provides comfort for patients. 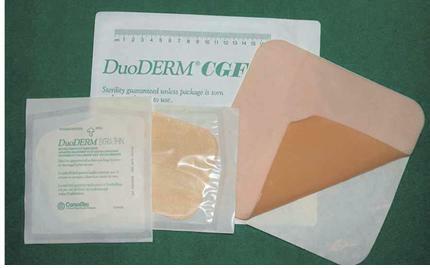 It is commonly used for early stage of skin graft donor site or large amount of exudating wound. (Figure 3). Hydrocolloid products are recently the most commonly used dressing material and are made from the mixture of elastomers, adhesive, mild absorptive power and gelling agent. Superior adhesive ability to the skin surrounding the wound makes a secondary dressing unnecessary to retain the primary dressing. Tissue gel is peeled off and sticky but not adhesive wet tack is generated on the surface contacted with watery wound. It conforms well to body contour, providing superior conformability and adhesive capacity. Wound, bedsore or foot ulcer with adequate amount of exudates, abrasion and general trauma, mild 2nd degree burn, particularly on the face of a child, are optimal for hydrocolloids. Representative products include DuoDERM (ConvaTec), Comfeel (Coloplast) and Replicare (Smith & Nephew) (Figure 4). 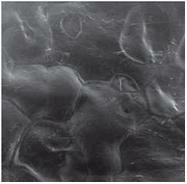 Hydrogel sheet is made of 3-dimensionally cross-linked hydrophilic polymers and composed of 96% water. It is not water soluble but swells up when interacted with aqueous liquid to provide moist environment. The amorphous profile allows for it to be filled in a tube, aluminum foil or gauge pad or produced in a spray form so that it can be used as a dressing material that can be filled in a wound according to the wound shape. It is applicable to deep cavity wounds, such as bedsore with necrosis or leg ulcer. Intrasitegel (Smith & Nephew) is included in this category. Recently released products are added with functional ointment for anti-inflammatory, antibacterial activities (Flamminal Forte, Flaminal Hydro, Figure 5). Alginate is a biopolymer-polysaccaride dressing material extracted from seaweeds. It is in the form of entangled fibers or unwoven mat made of calcium alginate salt. These fibers absorb exudates and forms gel, which retains moist condition and works as the secondary dressing to prevent wound dryness. With 13 time’s greater absorptive capacity of exudates, alginate can be applied to wound, bedsore, leg ulcer or diabetic ulcer with large amount of exudates. Algisite M (Smith & Nephew) and Aquacell (ConvaTec) are included in this category (Figure 6). Collagen is gaining attention recently as a new biological dressing material. Collagens are extracted mostly from cows or pigs, antigenicity is eliminated by enzymatic purification, and freeze dried, powdered or made into gel. It has gained attention with recent reports about the importance extracellular matrix, the environment of surrounding cells, in the process of wound healing. It is expected to play an important role for wound healing in the future. One of the products developed in Korea is worth noting for having more dense membrane of collagen tissues and finely porous membrane. This double membrane collagen pad retains moist condition and prevents the wound from the outside and against bacterial invasion on the upper side and provides improved environment for wound healing (Rapiderm Care, Dalim Tissen, Figure 7). This product is composed of polymeric materials, such as polyester, polyethylene and nylon, and is not widely used yet in Korea. For the purpose of protecting the wound, the finely porous thin dressing material is large enough to pass blood and serious fluid but not enough to for epithelium or granulation tissue. As mentioned above, each dressing material has different abilities depending on the material and the purpose. Absorptive capacity is near zero for film materials, superior for alginate and foam, and about medium for hydrocolloid and hydro gel. Film materials with no absorptive capacity is cannot perform wound drainage when applied to wounds with large amount of exudates, while alginate is not appropriate for dry wound or those covered with eschar. The amount of exudates should be considered first and a proper dressing material should be selected to adjust wound drainage. Hydrating ability is essential in a dry condition. Most occlusive or semi-occlusive dressings can retain the moist or exudates on the surface of the wound. However, clinicians should be well aware of comparative data of hydrating abilities among various types of dressing materials. It is best to choose amorphous hydrogel, which has superior hydrating ability, for a very dry wound. If the wound is moist and has abundant exudates, hydrogel sheet or film dressing is recommended. Since hydrating dressing stimulates the removal of necrotic tissue from wound bed (autolytic debridement), clinicians should be well informed of the hydrating abilities of each material. Adhesive quality of a dressing material plays a very important role when the patient’s skin is weak or the wound is located on an anatomically difficult place to maintain the dressing. Hydrogel sheet or non-adhesive foam can be selected for weak skin. The most adhesive hydrocolloid might be a good choice for wounds located at difficult places like arm pit, groin, elbow or toe. Conformability refers to the ability of a dressing material to maintain the contact with the wound when placed on a location that is anatomically difficult to maintain the contact or on a cavity wound. A lot of companies manufacturing hydrocolloids are attempting to enhance the conformability as well as adhesive quality by producing extra-thin dressing materials. Amorphous hydrogel is also useful because it can fill in 3-dimensional wounds that are slightly dented. 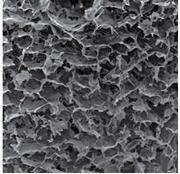 Alginate can fill in the wound in rope foam, and foam is also made for the treatment of cavity wound. Some hydrocolloid products are in paste or granular form, which can be used to fill in the cavity wound. The usual dressing method has not changed from the most common using gauze in the past to the recent methods. The medical community generally does not recognize the need to get over such old treatment method, because they believe that semi-occlusive dressing under moist environment is risky and does not stimulate wound healing. High prices of newly developed dressing materials is another factor, because they conclude that the benefit is not that great compared to conventional dressings and does not introduce the merits of the new dressing materials in the medical training. It was initially believed that semi-occlusive dressing under moist condition would stimulate wound healing but also increase the risk of infection. According to multiple clinical trials, however, moist environment by semi-occlusive dressing stimulated the activity of endogenous phagocytic cell, which prevents wound against bacteria from the outside and maintained sub acid pH, which is harmful to bacteria. This mode of dressing acts as a barrier to exogenous bacteria, as demonstrated by superior effect than preventing infection with 64-fold gauze. A lot of recent studies on cost-effectiveness also found that these high-priced dressing materials can be costly at first but reduces the number of dressing. Therefore, high-prized dressing materials can prevent the waste of materials, stimulate wound healing, shorten the hospitalization period, reduces the labor force from frequent redressing, and reduces patient’s pain by maintaining moisture of the wound. Considering these merits, conventional dressing would be more costly and has more disadvantages.